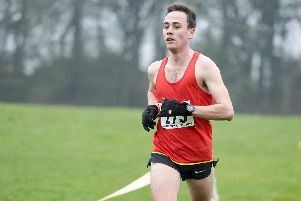 Rotherham Harriers were crowned Yorkshire men’s champions recently but are unlikely to be in the frame this time, particulary as they are without Oxford Blue Luke Cotter and Joe Massingham from the winning Yorkshire team. Massingham is still a junior for this race and should be prominent in the under 20 race along with Cameron Bell (Hallamshire) and Alfie Manthorpe (City of Sheffield and Dearne). However, Rotherham have considerably depth and expect to have Elliott Smales, Lee Milburn, Aaron Larkin and Jonathan Johnson from their winning Yorkshire team and a top six finish is within their capability. Hallamshire, sixth last year, also have a decent squad and much depends on the availability of Steve Bayton who was the individual bronze medallist in last year’s race. Rotherham’s women were third last year with a quartet of Sophie Cowper, Natasha Hatswell, Emma Parkinson and Zara Knappy. Of those only Hatswell ran in the recent Yorkshire Championship where they finished runners up to Leeds City. On that occasion she was joined by Nicola Devine, Samantha Hughes and Fiona Davies. With Lori Handbury and Jenny Blizard also listed in their team entry, it is a formidable squad. Even so, they are unlikely to dislodge an outstanding Leeds City team who will be going for a third successive win. Hallamshire, led by Charlotte Ward, were seventh last year and always turn in a solid performance particularly when they can call upon Hatti Archer who is listed in their team. Three times winner of this title, Archer has done little more than Park Runs since having her second baby. Yorkshire under 20 winner Cyane Robinson (Rotherham) should do well at Northern level even though he is in the first year of the age group. At under 17 level Scott Nutter (Barnsley AC) should be prominent in the boys race whilst Yorkshire champion Esther Rowe-Trowle (City of Sheffield and Dearne) will be looking for further success in the girls race where Hallamshire look strong. In the under 15 age group Hayley Butcher (Rotherham), silver medallist in the Yorkshire, should again do well whilst Hallamshire have a strong team even without their top runner Ruby Simpson who opts to race indoors on Sunday instead. 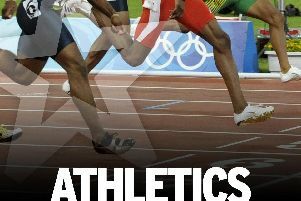 The Sheffield Indoor Festival is at the EIS on Sunday. Hallamshire’s Ruby Simpson does the under 15 800 metres whilst in the same age group Daphney Adebayo (City of Sheffield and Dearne) is listed for the 60 metres, long jump and shot.